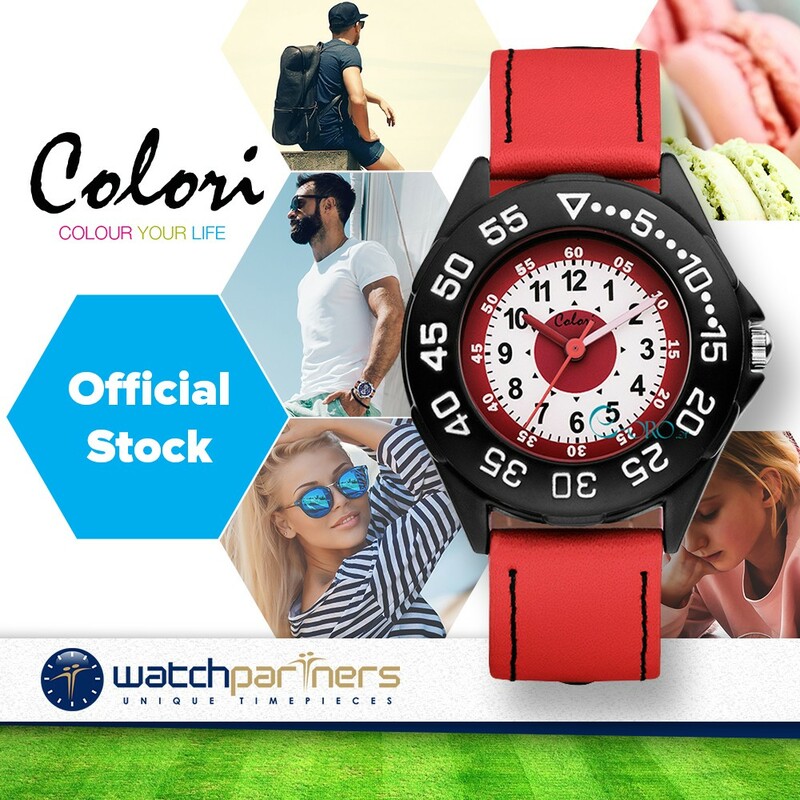 The Colori Kidswatch has a superb colourful and playful appearance. Dimensionally the timepiece has a miniature 35mm case that will definitely appeal to children. 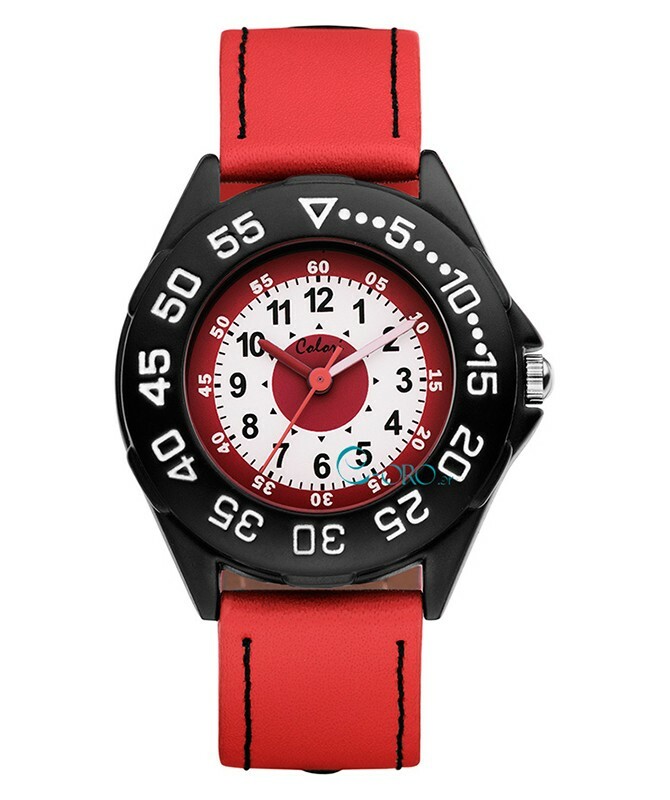 Distinctive features include a two-tone white/red dial with black numerals, black rotating bezel and red PU leather strap. Beneath the subtle exterior lies a Miyota quartz movement.